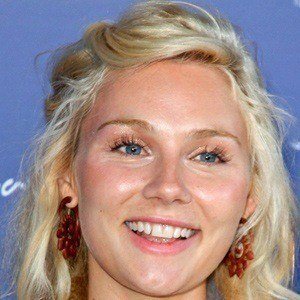 Australian actress, most known for her role as Scarlett O'Connor on the ABC series Nashville. She obtained her Bachelor's from the University of Wollongong in 2007. She once appeared in the Australian stage production of Spring Awakening, artistically overseen by Cate Blanchett and put on by the Sydney Theatre Company. She was born to Tony and Kathleen and has a brother named Timothy. She survived cancer as a child. She married her longtime boyfriend and fellow musician Brandon Robert Young in October 2017. She has appeared on the series Nashville, which starred Connie Britton.